In my late teens I often dreamed about moving to Japan. I longed to experience different colors, shapes, and tastes, and felt a strange, visceral attraction to Japanese style and culture. I pictured myself living in an old regal city like Kyoto, surrounded by temples and shrines, losing myself in a sea of red maples and blossoms. I ended up working in a Japanese company for nearly a decade, which was altogether a good thing, but my urge to relocate eventually faded away. That is until I recently got hold of Della Chuang’s latest book, which rekindled my old fascination with Japanese life and tradition. As a kid I spent many hours watching my father restoring old saxophones. He’d disassemble them at our dinner table, work on the mechanical parts, replace the pads under the keys, and put all the tiny bits and screws back in place. His work always paid off, giving us both a great feeling of satisfaction and pride. I’ve loved beautiful instruments and machines for as long as I can remember, and have always looked up to people with technical skills. Browsing through the second edition of The Chemistry of Fragrances painfully reminded me that I have no such skills myself. It made me realize that I’ve been wearing fragrances for over a decade, and that I was only vaguely aware of how perfumes are actually created and developed. 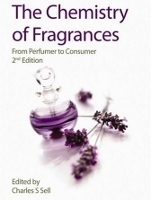 This book, published by the Royal Society of Chemistry, deals with all the essential steps in the industrial-creative process, from handling perfume ingredients to toxicological testing and the outlining of a fragrance brief. 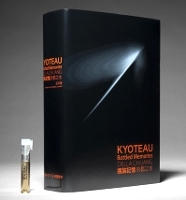 Rather than a do-it-yourself guide for budding perfumers, this is a comprehensive reference book with lots of in-depth insights into technical issues. 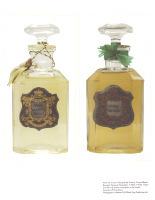 Like Sagarin’s The Science and Art of Perfumery (1945), Theimer’s Fragrance Chemistry (1982), and Muller & Lamparski’s Perfumes: Art, Science and Technology (1991), it’s more likely to be found on the shelves of fragrance manufacturers than in a perfumista’s collection. But if you know your way around in chemistry, you might find this an incredibly rewarding read. Most people can only dream of having a perfume made just for themselves. Celia Lyttelton saw that dream turn into reality when she approached Anastasia Brozler, the founder of London-based Creative Perfumers, and asked her to develop a unique, personalized fragrance. Brozler is a former head of perfume marketing at Estée Lauder and L’Oreál in Europe, and was a sales director at Crown Perfumery before she opened her own company in 1999. She helped Lyttelton in selecting the ingredients, and then assigned the project to perfumer Norbert Bijaoui, who took care of the actual composition. Meanwhile, Lyttelton embarked on a trip around the world to learn more about the materials of her choice. Together with her husband Stephen and their young son Tarquin, she followed the trail of her bespoke perfume on a long journey to France, Morocco, Turkey, Italy, Sri Lanka, India, and Yemen. This book is her travel diary. With the winter holidays approaching fast, it's time to discuss a book that has been sitting on my shelf for several months now. It's one of those rare books that combine pleasure and knowledge in equal measure — beautiful looks, matched with refreshing and original content. Which is no small accomplishment, when you think of all the coffee-table books we've reviewed on these pages alone. Author Roja Dove needs no further introduction*, and many of you have either read about The Essence of Perfume on other blogs, or perhaps even own a copy already. What I want to do here is to give a brief overview of its contents, and then add a small critical note, which I hope won't resonate too badly with the author. We'll see. What does communism smell like? How about the Sun, or Cleopatra’s perfume, or the atomic blast that destroyed the city of Hiroshima? 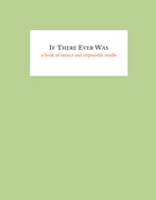 This booklet, published on the occasion of the exhibition If There Ever Was, attempts to bring distant, elusive, and sometimes impossible olfactory experiences to life. Curator Robert Blackson commissioned thirteen fragrances from eleven perfumers and smell artists, including Bertrand Duchaufour, Christophe Laudamiel, Christoph Hornetz, Mark Buxton, Sissel Tolaas, and Geza Schön. If, like me, you missed the show at the Reg Vardy Gallery, this booklet gives you a chance to smell them all in the comfort of your own home.